In the summer of 2003, one of my close childhood friends and next door neighbor, Jeremiah Hamlett, from Phenix, Virginia, was diagnosed with terminal brain cancer. The night I received word of his diagnosis, I went over to the basketball court across the street from my house and Jeremiah’s and sat in my car with a green notebook pressed against the steering wheel of my car, and began writing. This is the story of our childhood growing up in small town America. This is the story of life and friendship in the face of cancer. Bookmark this page to follow along to When the Lights Go Out at 10:16 as it is being written and revised. If you enjoy what you read, consider a charitable contribution on the SVCC Foundation‘s website and help me raise $10,000 to make the Jeremiah Hamlett Memorial Scholarship Fund perpetual for years to come. Your donation is secure. Learn more about how this story will fund the scholarship fund at this link. I am personally donating $500. My challenge to you is to donate whatever you can—whether that’s $5, $10, $25, $50, or $100 (or more). Why with other birds it didn’t join and sing a song? To their songs I enjoy humming along. For the past couple of years, ever since Jeremiah was diagnosed, I have thought the same exact things that I have just read. 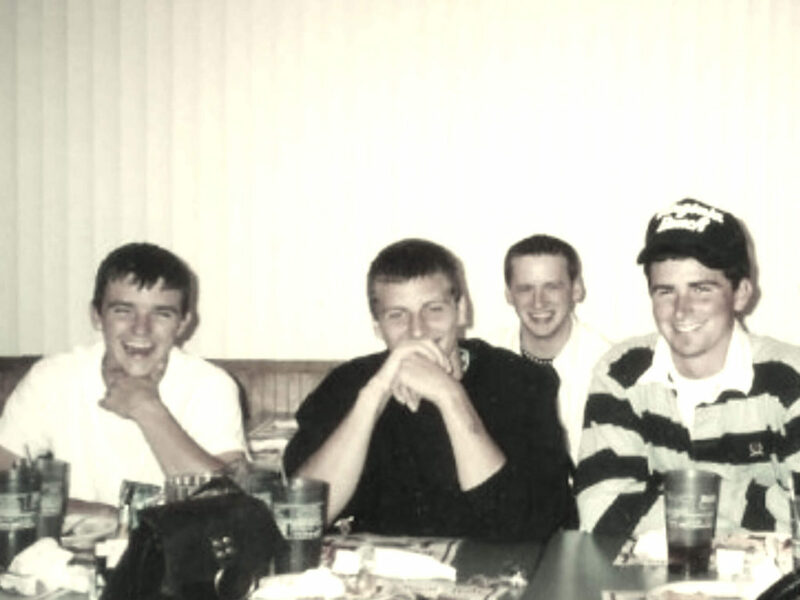 Every day now I think about Rob, Jeremiah, you, and myself and all of what we did as kids. I remember when you and Rob and Jeremiah got caught on the tracks when the train was coming, and to this day I don’t think you’ve ever gotten back on them. As dumb as it may sound, I wish I would have been there with y’all. You know as well as I do that we all looked up to Rob and Jeremiah for everything. I was lucky enough to have one of them as my brother, but I have always and will always consider you and Jeremiah my brothers as well. 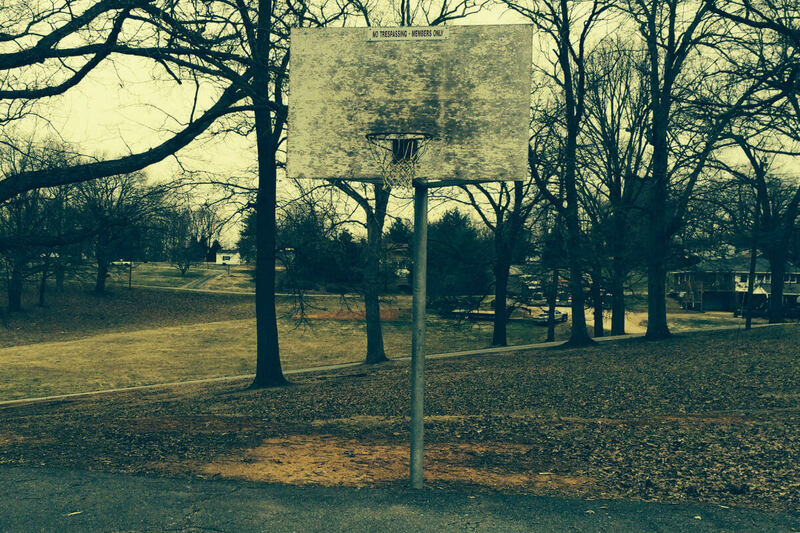 For quite some time, WHEN THE LIGHTS GO OUT AT 10:16 was aptly titled THE COURT: JEREMIAH’S STORY, after the basketball court in Phenix, Virginia, where we all lived out our days in childhood. Shortly after Jeremiah passed in January 2007, I changed the title to what it currently is today to reflect Jeremiah’s death. He was “going home,” you could say. It was meant symbolically. You see, 10:16 was not the time of day Jeremiah passed. 10:16 was the time of night when the lights at the basketball court in Phenix would turn off like clockwork, and we, as kids, would stand from where we were seated on the court and make our way home. “Welp, must be 10:16,” Kevin would often say. And then Robbie and Kevin would make their way one direction toward Park Street, the Tucker boys in another toward Charlotte, and Jeremiah and I, who lived across the street from each other on Church, would walk up the small hillside toward our homes. As we grew to be young teenagers, the particular time was sort of a running joke for those of us who grew up in Phenix whenever someone from another town happened to be there when the lights went out. “You mean 10:15,” someone would say. If you were to drive by the basketball court in Phenix, to the passerby it wouldn’t seem like much—not back then, not now. They might see but a cracked blacktop with two wooden backboards and rusted red rims on opposite ends. To us, it is where our childhood was birthed, where lifelong friendships were formed. It’s where our shadows still exist in another dimension, playing a game of two-on-two to 50, win by four. Check. This story isn’t meant to be a linear work, nor is it meant to be a [quote] “cancer story.” It is a quilt of sorts, patched together at times with vignettes. While part of the story focuses on Jeremiah’s diagnosis, childhood memories are interwoven to bring attention to what was, what is, and will always be the most important takeaway: that cancer can destroy a person’s immune system and can even take him or her away from us physically forever, but it cannot take away our memories, our friendships, or our love. Part I focuses on the original diagnosis. Part II’s origins are with the return of the tumor. Part III is the aftermath. 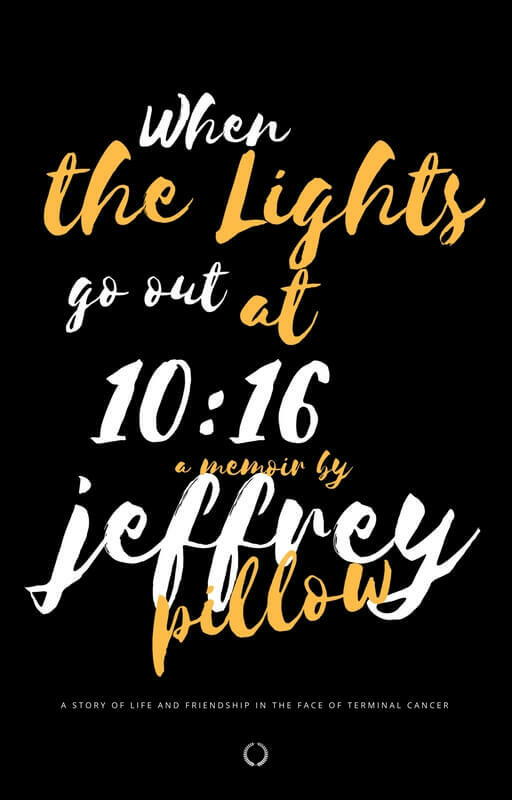 WHEN THE LIGHTS GO OUT AT 10:16 isn’t a biography—not of Jeremiah, not of me. It is a coming-of-age memoir that comes from my perspective; and I think this is important to note. I say this because I can only tell this story from my point of view. I cannot go into detail all of the results of Jeremiah’s tests or every fine detail of what Jeremiah thought or experienced as he battled brain cancer. Much of what Jeremiah went through was very personal that only he knew or his family privy to. I only know what I know or what he or his family shared with me. The personal aspect of cancer, however, I can understand to a degree—at least from the perspective of a family member, specifically as a son who has seen his own dad stricken with stage IV appendiceal cancer, and then again, ten years later, with acute myelogenous leukemia. There is a scene early on in the story when Jeremiah has the initial seizure while at work. Being that I’m not an accountant—that’s a truer statement if I’ve ever heard one—and I wasn’t with Jeremiah when the seizure took place, I drew upon the only other experience I had when someone seized. When I was in sixth grade in Ms. Bates’ class at Central Middle School in Charlotte Court House, Virginia, I had a classmate named Priscilla. * It wasn’t uncommon for Priscilla to have a seizure while in class. Another of my classmates, Keith Hatcher, always seemed to be the first on the floor to help her. He’d prop her up and keep Priscilla from banging her head on any of the desks or from biting into her tongue. Occasionally, out of the blue, I think of this time in sixth grade and how heroic Keith was despite being so young—as young as the rest of us who stood by perplexed and frozen, not knowing what to do. When I sent Jeremiah the story when his cancer returned in July 2006, I prefaced my letter to him by saying that I knew that this scene, in particular, may not be accurate, that I had written it based on my experience in seeing Priscilla having a seizure all those years ago in sixth grade. Jeremiah’s depiction in this scene was largely a mirror image of how Priscilla acted when a seizure came on. Jeremiah responded in a very Jeremiah way, by saying it was okay, that he didn’t care, and to “leave it in.” He went on to say jokingly that he had no idea what happened anyway because he had blacked out. Memoir is defined as a biography written from personal knowledge of one’s memory of certain events or people, particularly one’s own. I tend to think of memoir in a slightly different manner, which is to say that memoir investigates life’s universal themes under the guise of one’s memory. Even now, years later, I carry fond memories of Jeremiah with me everywhere I go — and I can say, with certainty, that many of his friends and family still do as well. I learned a great deal from this unfortunate experience: about myself, about friendship, love, loss, the power of memory. And, I hope the words you read capture this. When I began writing When the Lights Go Out at 10:16, I never intended for it to get out. I never intended for it to be an actual story in the first place. It began as a single paragraph journal entry in a green notebook I used to keep in my car in case a poem came along unexpectedly. The weight of Jeremiah’s diagnosis I did not comprehend at the time. Death nor disease nor malady could touch us. He’d beat this thing — whatever it was that had taken up residence in his brain matter. We’d all live happily ever after — THE END. But sometimes life has other plans despite our own. It was 11:30 p.m. on a Friday night as I sat alone in my car at the basketball court. The lights had already gone out at 10:16, like clockwork, as they had for years. Abandoned by the false twin moons, The hummingbird moths had vacated the area over an hour before, no longer dancing atop the wooden guardians that stood along the edge of half court. The crickets crept into my consciousness playing their nighttime lullabies, as the old streetlight next to the stop sign that no one ever stopped at flickered. The light shone bright, then darkened. The engine of my car was silent, the night air thin as I peered down the hillside leading to the basketball court. A story began to tell itself as I stared at the blacktop’s deep-rooted cracks that had opened up more and more as each year passed, fading into the black of the near midnight scenery wrapped around me . . . into the twilight of yesterday, into the nightfall of youth, of childhood. At that moment, I began to see and hear the ghosts of my childhood. These images were visible as if at hand only yesterday, and they winked one after the other in my mind’s eye like white stars sewn into the black velvet of the summer’s night sky. The thin, lanky figure stepped to a chink in the gray-black pavement that opened like the veins of a broken waterway, spilling horizontally across the basketball court. He bent his knees. His eyes searched for a direct line to the back of the rusted hoop, and he released a jump shot. The flick of his wrist made a popping sound as his fingers pointed straight ahead. Textbook release. And the basketball kissed the side of the backboard. I turned my head to the right. A slight crick in my neck forced my body to carry out the rest of the motion. A row of pine trees loomed in the foreground. In the background stood the house where Jeremiah had grown up. Though the colors of his home had fled with dusk, I knew the shades and tints as if it were my own: the siding the color of eggshells, the shutters a shade of maroon. I turned back and once again found my concentration at the base of the hillside, staring at the grayish-black pavement of the basketball court where so many memories of ours had been birthed since childhood. Their origins and roots were firmly planted in the blacktop surface of the court. I bore witness to infantile and adolescent infractions long forgotten; or, so I had thought. The sound of laughter and youthful banter went on endlessly. Acorns and walnuts swarmed the air like a plague of locusts. The cogent stature of childhood was intact—be it the memory of my friends and I as barefooted seven-and eight-year-olds pedaling mercilessly with scuffed up and scarred shins and shoeless feet; or, as ten-and eleven-year-olds shooting off the hillside that lay adjacent to the swimming pool on a wooden Radio Flyer sled in January, the metal runners sometimes veering off-course to the right into the rusted barbed wire fence of Bobby Canada’s cow pasture that never seemed to cut a single soul. Not a memory had escaped me. If you were a Charlotte County cop or state police in the mid-to-late 90s, you may be thinking I stole this sign. (No offense, but you guys lived at my house for two straight summers based solely on hearsay) While me stealing the sign may fit the image of the green haired, hard-nosed criminal for which I was portrayed, I’m sorry to tell you, I didn’t steal this sign (or anything else I was accused of stealing or destroying during this time). I saw the Welcome to Phenix sign uprooted from the ground, displaced to make way for the new sign, laying on its side behind the municipal building, and my dad asked the mayor at the time if I could have it, and he obliged. Here’s the thing: even though when I grew up I left Phenix behind, Phenix has always held a special place in my heart—more than simple nostalgia provides. It’s hard to describe it really. 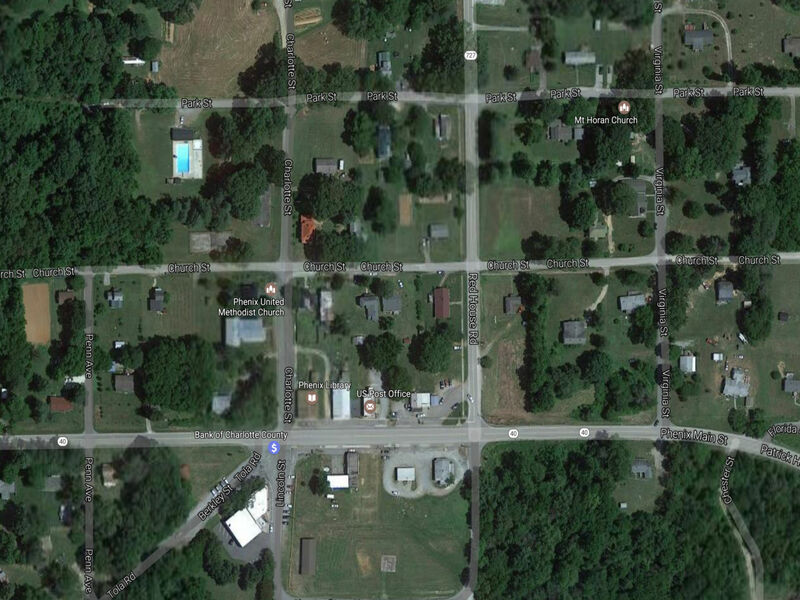 Not to sound all back in my day about it, but Phenix, Virginia, was different back then than it is now. So, it’s hard to tell a story and cast Phenix as merely a setting or somewhere a story takes place. Phenix, all 1.158 square miles of it, is more than setting. Phenix is a character in this yarn I’m about to tell—and it’s important I say that up front because you can’t understand the rest of us characters without understanding a little bit about a small town in southern Virginia known as Phenix, in Charlotte County, Virginia. In the late 1980s and early 1990s, the basketball court was always jammed pack, particularly on Sunday. Pick-up trucks and cars lined the hillside and there was overflow parking in the tiny football field (as it was purposed by us kids in the 1980s). Both ends of the basketball court had three-on-three basketball games taking place with new teams laying wait on the bank when the loser was escorted off the court. Blue jeans and flannel shirts and ratty white Reeboks adorned bodies that twisted in mid-air for a lay-up or a rebound ricocheted off the rim. Young women in short shorts and sun dresses laid on the hillside and watched their boyfriends or young husbands. Inside Robbie Canada’s pick-up truck parked behind the near-end hoop the NASCAR race came through the stereo’s speakers. If ever there was a serious pile-up around turn whatever, there was a stoppage in play on the basketball court in Phenix thousands of miles away. This was a common Sunday in Phenix back then. Today, not so much. But back in the late 80s and 90s, the basketball court was grand central station for a friendly game of basketball—and perhaps a beer or two in between games. Save for less businesses, Phenix is mostly the same as it was in the 1980s. Kids are less active to say the least, but that’s about it. And that’s where your imagination comes in. I never found Phenix boring. There was always something to do, somewhere your imagination could take you if you were willing to allow it. Weighted down by old notebooks and pictures I have a child’s journal given to me one year as a Christmas present. The questions are capitalized in bold. The answers follow underneath on a long straight line written by a No. 2 pencil that, as the years have passed, has all but faded. WHAT HOBBY DO YOU ENJOY DOING AFTER SCHOOL? I like to play basketball and baseball and ride my bike at the court. My best friend is Robbie Hunter Hancock, Jr.
No matter how faint the pencil mark in my response has become over time, the answers might as well be written in ink or etched in stone for that matter.